With the first expansion for Destiny 2 on the way soon we thought it would be good to put together some of the best images for it as wallpapers for you to use on all your devices. The Curse of Osiris is an expansion that focusses on the character of Osiris, specifically his relationship/interest in the Vex and a huge force that seems to be amassing on Mercury. This first image depicts Osiris as he walks out of what appears to be a Vex portal onto the surface of Mercury. We know from the details released so far that we’re actually contacted by Osiris’ Ghost, Sagira, who has recruited the Guardians to help her find Osiris after they were separated. At this point they’re together so it could just be a cinematic made for marketing purposes, but I’d like to think that we’ll see these two fighting alongside each other at some point during the expansion. This next image is of Mercury, of course. This is the planet that’s at the core of the upcoming expansion, Curse of Osiris. While Osiris might have an intimate knowledge of the Vex there’s currently no knowledge regarding his whereabouts. What we do know is that Mercury is where he was banished, and it’s also where the cult of Osiris and Sunbreakers find their home. Osiris disappeared a while ago, which isn’t surprising considering he’s been investigating a race that can travel through time, but Mercury is more than the Vex. On Mercury Guardians will be able to patrol through the Infinite Forest, a simulation forest the Vex built some time ago. I’m very excited to see this area since it’s the Vex representation of what a forest on Earth might look like, meaning it could be filled with some really weird stuff. This final image is a wallpaper of the new Crucible map releasing for Playstation 4 first. Here we can see a glimpse of what the Infinite Forest is going to look like, as you can see it’s nothing like what you’d see on Earth. 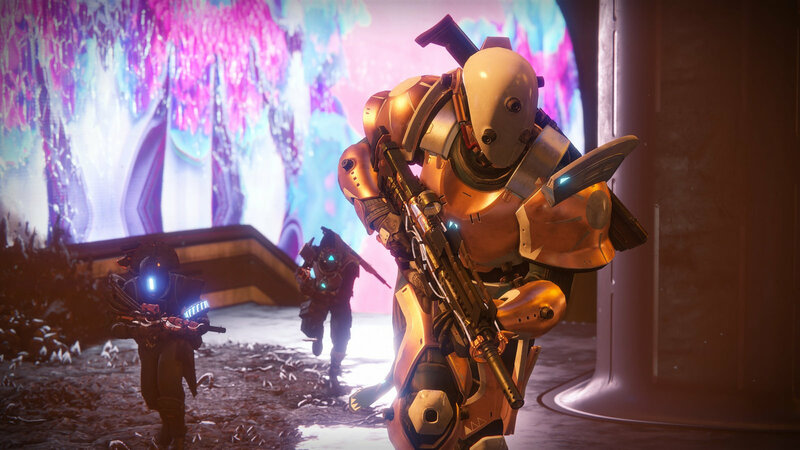 This new Crucible map is going to be a lot of fun to play in because it’ll be available on Playstation 4 first, allowing one group of Destiny 2 players to gain the advantage over others initially. Next articleThe Hero’s Burden Vs Antiope-D Which Is The Better SMG?